What are e-liquid novelties? The editorial team of Vapoteurs.net presents the new juices that you have the opportunity to taste this month. 'April 2017. All manufacturers or professionals of the vape who wish to include their novelties here can contact us on the address " Batch@vapoteurs.net To present their nuggets. Propylene Glycol USP <40%, flavors. SOLANA: 5 NEW E-LIQUIDS TO DISCOVER! 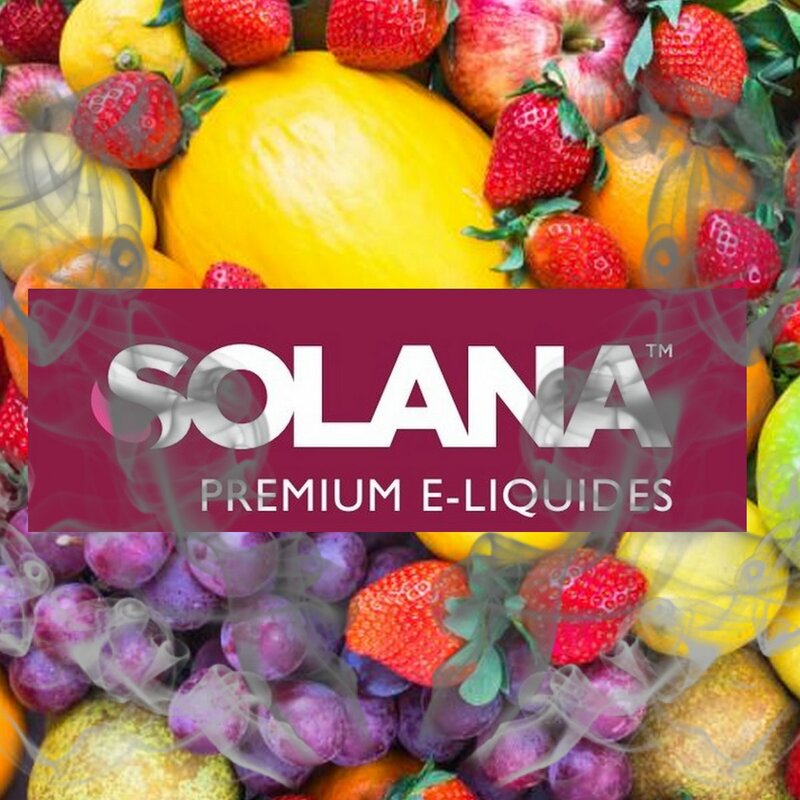 Solana launches 6 new e-liquids in 50 ml without nicotine of course (you have to add boosters). These new juices are sold at 19 Euros approximately. – Brocéliande : a recipe druidically greedy caramel salted butter. – Wanaka : Travel to New Zealand with this kiwi-based recipe. – Holy Pink : What's more appetizing than a delicious raspberry donut? This sweet and fruity E-Lixir Solana with a note of donut will delight the most greedy. – Tiki Rings : Sweet tropical cereals as you wish for this Solana e-liquid. With Tiki Rings, it's the pleasure of breakfast at any time! – Atacama : This E-lixir Solana, with its sweet melon flavor, is pleasantly fresh. Slightly sweet, it's a good all day. BOUNTY HUNTERS: 3 NEW JUICES! 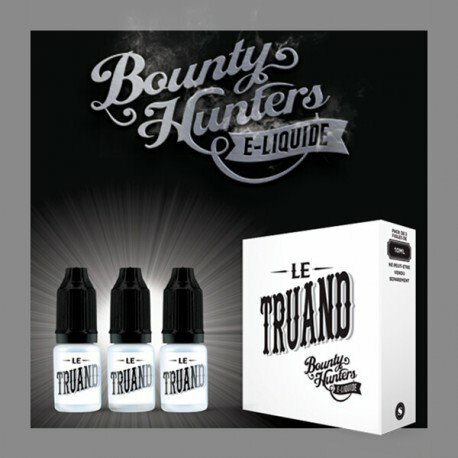 E-liquids Bounty Hunters make their appearances! 3 new juices in 50 / 50, available in recyclable PET bottles 3x10ml and 4 nicotine levels: 0, 3, 6, 12 mg / ml. Available for 16,90 Euros. – The Ugly : A strength of character, blond, caramelized, full-bodied and sweet at will. The saloon succumbs. – Brown : The Brown offers us robust and light notes, floral and sweet, of a sensual enchantment. NAME NAME: 3 NEW RECIPES TO DISCOVER! Name Nomz launches 3 new e-liquids in vial of 50 ml composed of 30% / 70% of PG / VG. They are sold for 23,90 Euros approximately. – Pear Drips : A great fruity classic revisited by Nom Nomz: a pear with a touch of magic that will make your mouth water. – Lime Tart : A pastry with its dough, cream and lime! Gourmand and refreshing. – Holy Cannoli : The famous Sicilian cannoli pastry topped with a lemon cream and sprinkled with pistachios! GLAZED E-JUICE: 4 RECIPES VERY VERY GOURMET! Discover 4 Extremely Greedy Recipes from Glazed E-Juice. These e-liquids from the United States are presented Chubby Gorilla lacon filled with 50ml liquid 0 mg. Proportion of PG / VG: 30 / 70. – rolled : Taste a classic Donut gourmet experience that will definitely become your cute sin. – Filled : A delicious Donut filled with a creamy raspberry jelly with a traditional sweet icing. 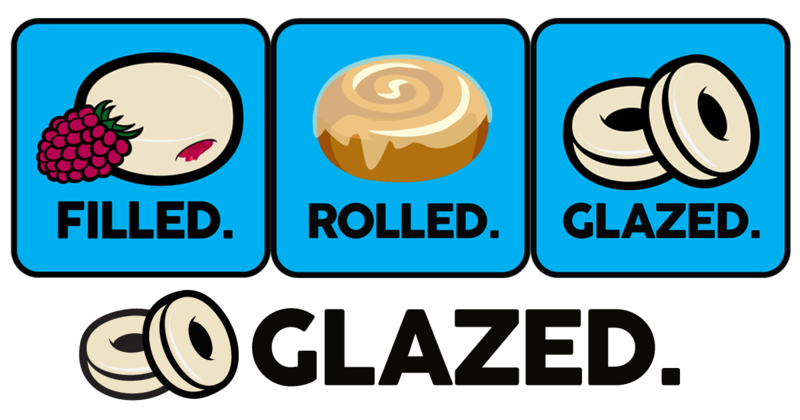 – Glazed : An authentic taste of Donut with its sprinkling of icing sugar! – Cream'n Cookies : A creamy vanilla ice cream between two delicious chocolate chip cookies! PRIMITIVE VAPOR: 3 E-LIQUIDS ORIGINAL TO DISCOVER! Primitive Vapor launches 3 e-greedy liquid in 70VG / 30VG packaged in glass bottles of 50 ml. 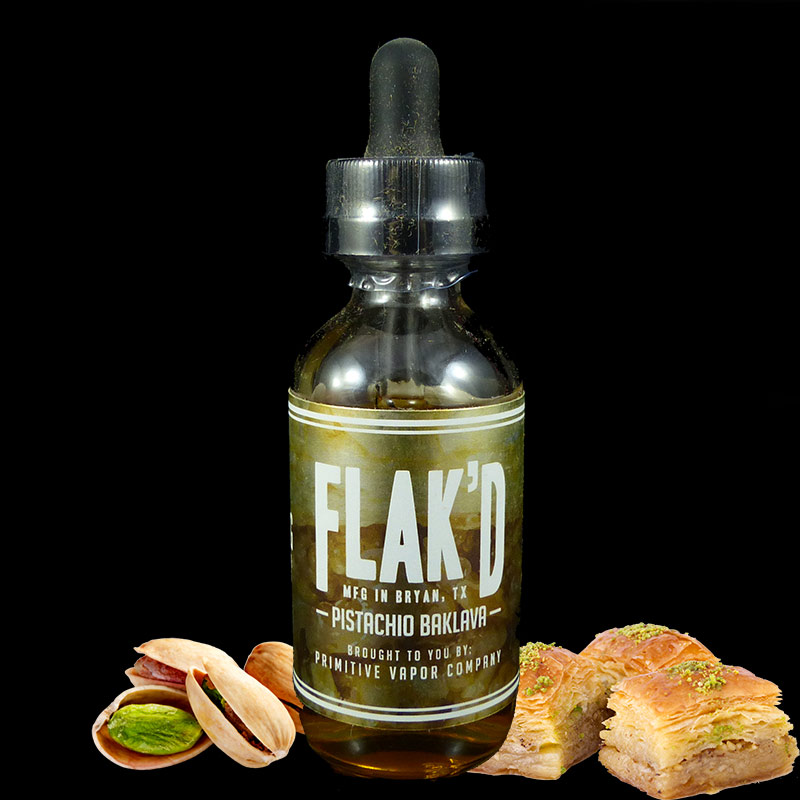 – Flak'd If you like vaping with the best eliquids, you'll love Flak'd by Primitive Vapor, whose deliciously intense baklava aroma will surprise you with every use. – Buttermilk Pie : A good taste of creamy pie delicately caramelized. – Vestige : A flavor of donut, cream, lime and cinnamon. EXTRAPURE: 6 NEW JUICES AVAILABLE! Extrapure launches 6 new e-liquids in 10 ml format, available in 3, 6 and 11 nicotine mg. The ratio is 20PG / 80VG or 30PG / 70VG according to the references. – Captain R : A pear-flavored donut flavor soaked in rum. – Downwind : A flavor of mint cream drizzled with rum. – Starboard : Aromas of classic, almonds and hazelnuts. BOOSTED: 5 E-LIQUIDS FULL OF GOURMANDISES! – Boostday Cake : A taste of vanilla cake accompanied by a scoop of vanilla ice cream. – Chocolate covered : A taste of strawberry milkshake and a milk chocolate cloud. – Breakfast : A flavor of fruit cereals, pieces of strawberry, all in a large bowl of milk. Discover now the Super Strudel range by Beard! These American e-liquids in 30PG / 70VG are packaged in 60 ml to 0mg. Super Strudel Strawberry : A toasted pastry with a good dose of strawberry! Super Strudel Mango Peach : A toasted pastry with mango and peach! Sold in packs of 5 bottles of 10ml with several nicotine levels available, Crunch Time by California Vaping Co is an e-liquid based on creamy cereals topped with sweet marshmallows.